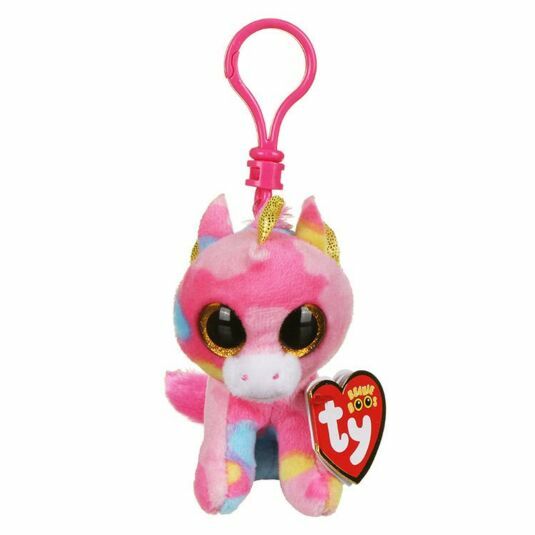 If you're looking for a new cuddly companion, this unicorn makes the perfect magical addition. This Beanie Boo from Ty has been named Fantasia. She has mottled, rainbow fur, a pink mane and tail, and gold hooves and horn. With a plastic key clip attached to the top of Fantasia, and a hanging length of approx 14cm, she would make the perfect addition to your keys or backpack.